I used to watch Hannah Montana every single day after school and in fact I think I watched it every day one school holiday too, it drove my parents mad. If Miley was in a film, I bought it. If Miley brought out an album, I have it. 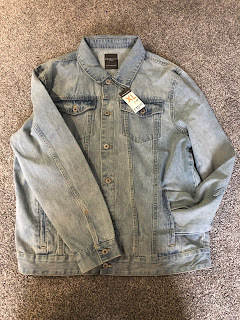 I even got quite a few pieces of her clothing line that came out in ASDA years ago. 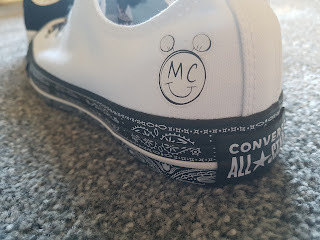 So when I saw the Converse collection she had done I knew that I was going to get a few pairs. 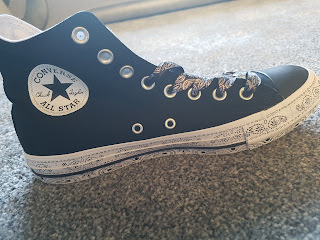 I have actually lost count of how many pairs of Converse I have had over the years, I still have quite a few now. If I had to pick between Vans and Converse, there would be no choice it would be Converse every time, to me they are perfect with any look. 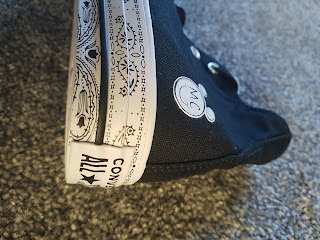 I love the low converse for the summer, I often wear these with a pair of denim shorts. I grew out of my old pair of white Converse and have been meaning to replace them for a while now. So when I saw these I knew I would be picking them up. What I love about them is that they are black and white which is always a great combination, plus the bandanna print really adds a little extra to the style. 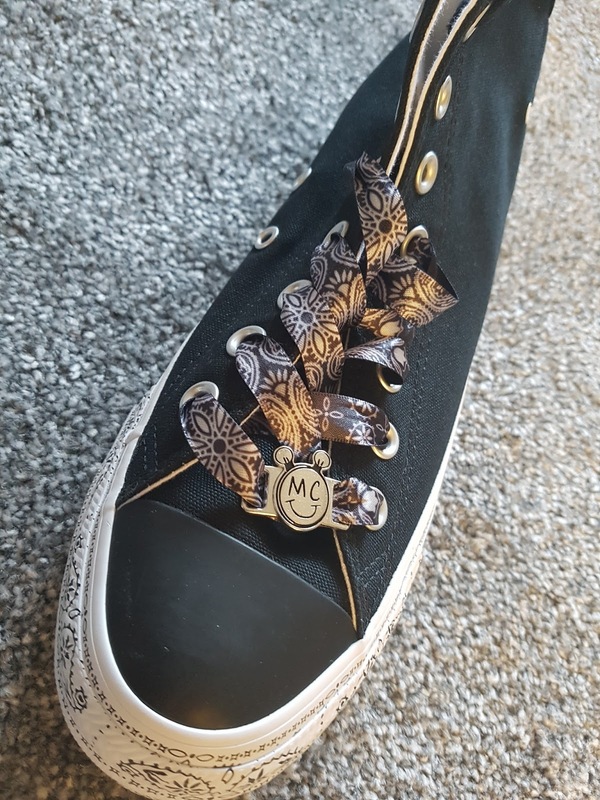 You also get this super cute MC logo on the side of the shoe and also as a metal plate on the bottom of the laces. 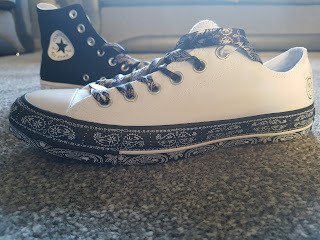 Speaking of the laces I love how you get 2 options, either the bandanna print ribbon ones or simple white, I think I will be switching these around every now and again. I also chose these hi-top black ones as you really can't go wrong with a pair of hi-tops they are one of my favourite styles year round. 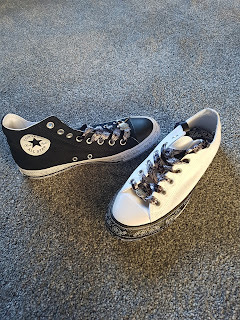 I have to admit I have never actually owned a black pair so these were a no-brainer, I was getting them. 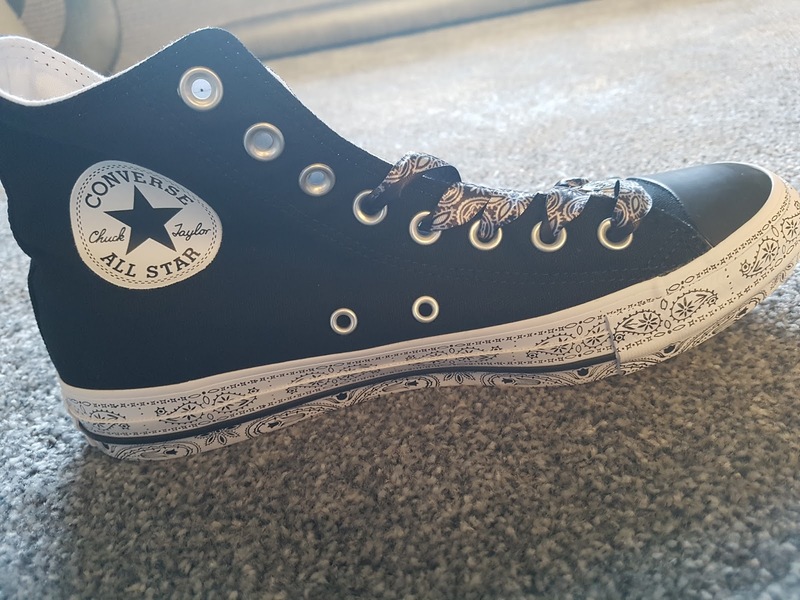 These are very similar to the white ones just with the patterns reversed. 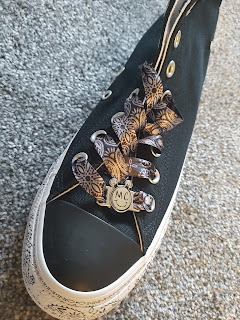 I can see me getting plenty of wear out of these ones specially with some nice skinny jeans. 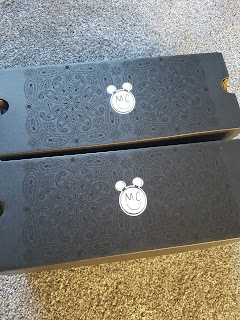 These are definitely investment pieces in my eyes at £125 for both pairs, but if I could I would have got every single pair from the range. The next thing is to take a look at the clothing she has done with them to see if there is anything I like. Have you got anything from the range or have you got your eye on anything? Let me know.